Blood blisters on the ear flap. If you observe any of these signs you should consult your veterinarian so they can diagnose the cause of the problem and provide an appropriate treatment program for you. 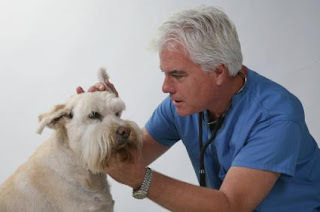 One of the ways to avoid these ear problems in pets is to keep your pets' ears clean. You will generally need to clean dogs ears with a special dog ear cleaner. This is particularly important in floppy ear breeds such as Golden Retrievers & Spaniels. If your dog swims regularly, you should take care clean their ears immediately after swimming using an appropriate ear cleaner to remove excess moisture and ensure the ear is clean. It is generally not necessary to clean a healthy cats ears. However if you notice excess wax, debris or smell an odour coming from your cat’s ear you should consider cleaning their ears with a ear cleaner for cats. Always read the directions before using any ear cleaner and if in doubt consult your veterinarian. Cats with yeast infections in moist humid environments. consult your veterinarian for further information.